Channel your inner Steve Irwin and visit Crocodile Adventureland where crocodiles of all sizes are placed. Watch and marvel at these amazing snappers as they glide across the waters, hunting for their next prey. Enjoy jaw-dropping crocodile shows and get a chance to be up close and personal with these crocodiles. 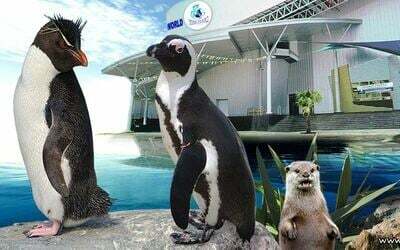 Additionally, enter a brand new realm at the Skydome, meet with dinosaurs at SkyRex, and interact with art at the 3D Museum. Crocodile Adventureland Langkawi: Mon - Sun: 9am - 6pm, including public holidays. Langkawi SkyCab: Mon - Sun: 9.30am - 7pm. Valid for one time entry only. Voucher to Langkawi SkyCab is open-dated. Voucher from Fave must be redeemed at Crocodile Adventureland Langkawi, to receive physical ticket to access Langkawi SkyCab. Strictly no voucher redemption will be accepted at the SkyCab. Child tickets are valid for customers aged 3-12 years old only. 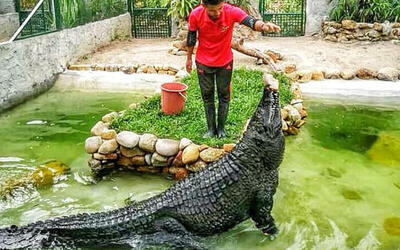 Free admission for children below the age of 3 years for Crocodile Adventureland Langkawi. Expired vouchers will not be extended, replaced or refunded. Duplicate vouchers will not be permitted entry. MyKad voucher is valid for MyKad Holder only. Voucher must be redeemed at Crocodile Adventureland Langkawi, in exchange for physical ticket to Langkawi Skycab.